‘Electroshock no longer taboo in treating mental illness’ in the USA: Is this the full story, though? I read in my Care Records (covering the 3-month period of my hospitalisation and detention under the Mental Health Act back in 2009) that ECT had been considered in a ward round as a possible treatment for my severe and enduring, ‘treatment-resistant’, ‘psychotic depression’ for which a series of potent anti-depressants had been used with no signs of improvement. I guess I was present at the ward round in question but I have no memory of it – as I have no memory of most things that went on during my detention due to being heavily medicated and acutely emotionally traumatised. If I was asked, I would have refused to have ECT. However, considering that -especially in the first month of my detention- I was deemed to have limited capacity and insight, a second opinion doctor could have been consulted and I could have been given ECT ‘in my best interests’ in spite of my refusal. Eventually, luckily, I was not given ECT. But even the thought that I could have actually been given ECT back then and I could have been robbed of my memories and cognitive abilities as a result, still fills me with terror four and a half years later. I now have an Advance Directive specifying that I refuse to have ECT under any circumstances as I consider it a barbaric treatment with very serious side effects. And three nights ago I dreamed that I had been given ECT whilst in hospital. What was strange is that in my dream I had consented to ECT after I was told it was the last resort. I saw myself lying on a bed, waiting for the ECT treatment to start- wearing a hospital gown and having a metal band on my forehead (I guess to enable the transmission of the electric current?). Following the ECT treatment I saw myself going round the hospital still in my hospital gown and with what seemed to be brownish marks on my temples-I guess marking the areas where the electrodes had been placed during the treatment. Following the ECT treatment (in my dream) my speech was affected (I struggled with producing words and I spoke at a quite slow pace) and I had problems remembering things. That was my first ever ECT-related dream, a markedly anxious dream. I woke up with an intense headache that continued throughout the day. ‘No wonder’, I thought, ‘ECT affects the head/brain!’. I also thought that dreaming about ECT was really positive – a kind of breakthrough. It seems that the deeply entrenched ECT-related terror that I am bound to have experienced during my detention (especially after the ward round where ECT was discussed) and that I still feel when I contemplate that I almost had ECT back in 2009, has finally found a language of expression and has become available for dreaming and thought. 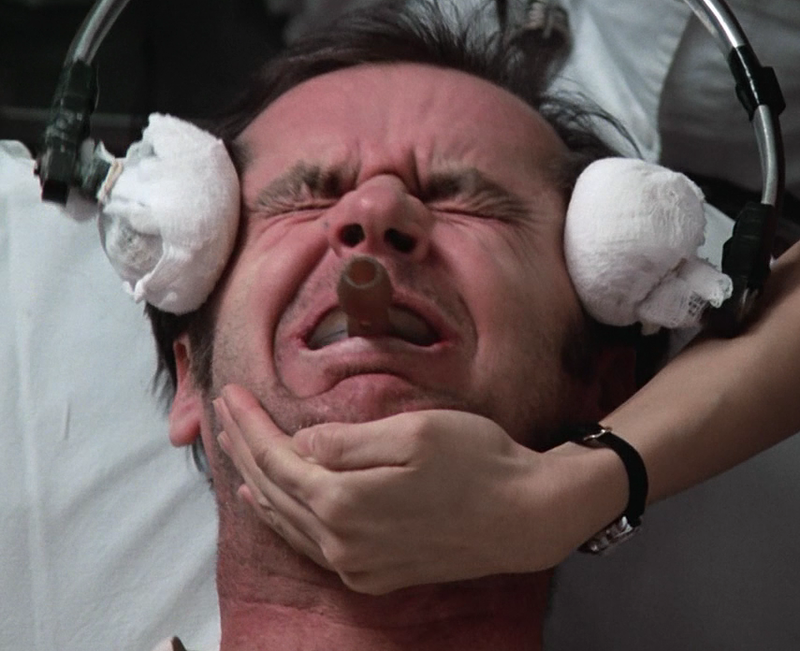 ‘Whether it’s “One Flew Over the Cuckoo’s Nest,” “Girl Interrupted,” or “Homeland,” Hollywood’s portrayals of electroconvulsive therapy have never been pretty. That’s certainly true in Denise Stewart’s case. Stewart, a mother of two, suffers from schizoaffective disorder. Her hallucinations were pushing her closer and closer to suicide each day. “There would be voices in my head that would sit there and say, ‘Denise, see the knife in the kitchen? Cut your wrists. Denise, see those pills over there? Take all those pills,’” she told TODAY. After antidepressants made Stewart’s condition worse, her doctors suggested ECT. And the change was dramatic. “If it hadn’t been for the electroconvulsive therapy, I wouldn’t be alive right now,” Stewart said. These days an estimated 100,000 Americans undergo ECT each year – and the process is a lot different from what you see in the media, experts say. “ECT is now being recognized as an effective treatment, as opposed to something that is barbaric, invasive, and potentially has damaging effects to patients,” said Dr. Jeffrey Lieberman, a professor and chairman of psychiatry at Columbia University. ECT is being used to treat intractable forms of depression and bipolar disorder. 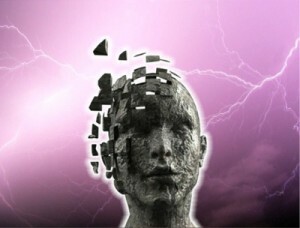 Simon Winchester, author of “The Man with the Electrified Brain” described his experiences with ECT last week on TODAY. “Electroconvulsive therapy, stigmatized that it may be, actually for some cases – and I’m a classic example – really does work,” Winchester said. While the ECT of the 50s could be a body and brain wrenching experience, the therapy has come a long way since then. The ECT of today is a kinder, gentler therapy. It typically involves a series of sessions, lasting a few seconds each. Patients are sedated and don’t feel – or remember – anything from the experience. Doctors say it can be far more effective than antidepressant medications. “Seventy to 80 percent of people will respond favorably, in some cases will have a complete remission of symptoms,” Lieberman said. But nothing is perfect. And in the case of ECT, there are some negative side effects, such as memory loss, which Stewart says she has struggled with. Side effects of ECT include: Headaches; Nausea; Muscle aches and soreness; Disorientation and confusion; Memory problems. But is the story told by the Today Health programme the full story? ‘The Today Show and ECT: The Full Story & Informed Consent’. Also back in August, I came across a critical commentary on the above mentioned Today Health programme concerning ECT. The commentary was posted by Lauren Spiro on Mad in America (http://www.madinamerica.com) and was entitled ‘The Today Show and ECT: The Full Story & Informed Consent’. ‘They [the Today Health programme] only interviewed people who were happy with their ECT experiences — one of whom is a famous author, which gives his testimony more weight. We all know that many people are happy with their experiences. That’s why most of us are not asking for a ban on ECT — just for the opportunity for truly informed consent so that people can weigh the potential benefits along with the serious risk of adverse effects. The story of ECT needs to include the stories of those harmed by it, and decisions regarding its use need to be made with the full participation and consent of those affected. Given the risk of brain damage, memory loss and, with it, years of a life, theories that the “positive effects” of ECT are in fact a side-effect of brain injury (shock) which some experience as a form of numbness or euphoria, evidence of substantial relapse following ECT and of high hospital re-admission rates, as well as the lack of solid scientific data regarding why ECT works at all, a fully informed person given a meaningful role in the decision-making process might consider carefully whether ECT is truly the best – or even last – resort’. ‘Mental health advocates demand that potential ECT recipients be told the truth about the risk of disabling effects – including permanent memory loss and cognitive deficits – so they can make an informed choice. The Food and Drug Administration (FDA) in the USA continues to classify ECT equipment in its high-risk Class III category despite pressure from ECT equipment manufacturers to re-classify it into the lower-risk Class II. “The research is clear: ECT causes closed head injury, temporary euphoria, then return of depression but with enduring memory loss,” says psychiatrist and NCMHR board member Daniel Fisher, M.D., Ph.D. He noted that, while many may experience a lifting of depression, this is temporary, but the disabling effects are permanent. Also, many ECT survivors say their depression was exacerbated by the stress associated with their ECT-related cognitive disabilities’. One of the strongest critics of Electroshock Treatment (ECT) has been Leonard Roy Frank, a psychiatric survivor activist in San Francisco, USA. 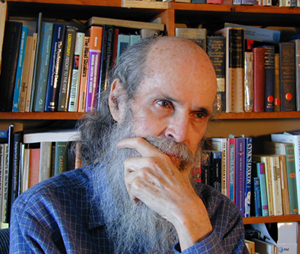 Among others, Frank wrote a powerfully critical article entitled ‘ELECTROSHOCK: A CRIME AGAINST THE SPIRIT’ that was published in 2002 in Ethical Human Sciences and Services: An International Journal of Critical Inquiry. ‘For me, combined insulin coma-convulsive treatment was an attempt to break my spirit, to force on me a belief system and lifestyle which I, of my own free will, had rejected. It was also the most devastating, painful and humiliating experience of my life. My memory for the three preceding years was gone. The wipe-out in my mind was like a path cut across a heavily chalked blackboard with a wet eraser. Afterwards I did not know that John F. Kennedy was president although he had been elected three years earlier. There were also big chunks of memory loss for events and periods spanning my entire life; my high school and college education was effectively destroyed. I felt that every part of me was less than what it had been’. ‘Over the last thirty-five years I have researched electroshock or ECT, have spoken with hundreds of ECT survivors, and have corresponded with many others. From all these sources and my own experience, I have concluded that ECT is a brutal, dehumanizing, memory-destroying, intelligence-lowering, brain-damaging, brainwashing, life-threatening technique. ECT robs people of their memories, their personality and their humanity. It reduces their capacity to lead full, meaningful lives; it crushes their spirits. Put simply, electroshock is a method for gutting the brain in order to control and punish people who fall or step out of line, and intimidate others who are on the verge of doing so […] Why is it that 10 volts of electricity applied to a political prisoner’s private parts is seen as torture while 10 or 15 times that amount applied to the brain [of psychiatric patients] is called “treatment”? Perhaps the acronym “ECT” should be retained with the “T” standing for torture—electroconvulsive torture’. ‘If the body is the temple of the spirit, the brain may be seen as the inner sanctum of the body, the holiest of holy places. To invade, violate, and injure the brain, as electroshock unfailingly does, is a crime against the spirit and a desecration of the soul’. in little Auschwitzes called mental hospitals.